Parking Behavior May Reflect Economic Drive Scholars have long tried to understand how culture affects communities. New research argues that the parking behavior of drivers may tell us something about the economic productivity of nations. Scholars have long tried to understand how culture affects communities. New research argues that the parking behavior of drivers may tell us something about the economic productivity of nations. OK, what you're about to hear might make you think very differently next time you park your car. And maybe that's something you're about to do while you're listening to the radio right now. There is research suggesting that the way we park might have implications for our country's economic productivity. NPR's Social Science correspondent Shankar Vedantam joins us each week on this program to talk about things like this. GREENE: All right, Shankar, so draw this together for me - parking your car and the implications it would have for economic productivity. VEDANTAM: I'm going to try, David, but in order to do that I need to go back and give you some context into one of the most famous psychology experiments ever conducted; it's called Marshmallow Test. In its simplest form, you bring a kid into a room and you offer her a treat, like a marshmallow. And you tell the kid, if you wait for five minutes without eating this treat, you can then have two marshmallows. Now, the reason this experiment got famous is that the kids who were able to hold off eating the first marshmallow for five minutes; these kids had better educational outcomes, they had more successful careers years and years down the road. Now, there have been lots of twists and variations to the Marshmallow Test, but the basic idea is this ability to delay gratification - to do the hard thing first to get the payoff later. This is a fundamentally powerful thing. GREENE: OK so if we take this to a parking lot - is this saying that if I wait longer and longer, I'll find a better parking space? VEDANTAM: (Laughter) Not quite, David. I spoke with Shaomin Li, he's a professor of international business at Old Dominion University in Virginia. He was recently in Taiwan and his host drove him to different places - to meetings and restaurants and so forth. And he noticed that every time they parked their cars in a parking lot, they backed in - they reversed into their parking spots - and this told him something very interesting. Here he is. SHAOMIN LI: When they parked, they took effort - elaborate effort - to wiggle in, reverse - they never park head-in. All of a sudden I said, gee, isn't this delayed gratification? GREENE: Delayed gratification because if you back in and pay the price at the beginning, you don't have to wiggle your way out when you leave? VEDANTAM: That's exactly right. Li decided to go from this insight to actually do an empirical study. He analyzed differences in how people park their cars in Brazil, China, India, Russia and the United States. And he found there were big differences in how people parked cars in parking lots. Now, he only looked at cars that were parked up against a barrier in parking lots. He found big differences between the countries. For example, he compared parking behavior in China and the United States. Here he is. LI: In China, 88 percent of cars are parked reverse. In our country, it's less than 6 percent. 6 percent versus 88 - there's got to be something that we need to explain. I'm just amazed here because I'm thinking about Russia, where I was for a little bit. Russians just park their car wherever they can find a space - like, on the sidewalk. They don't even think about backing in or going forward. But that's not important right now. This difference between China and the United States, China - 88 percent back in. The United States - so few people back in. What does that tell us? VEDANTAM: Well, Li thinks that there's a correlation between parking behavior and economic growth rate. So if you buy the idea that reverse parking is a signal of delayed gratification, countries that seem to practice more of this kind of delayed gratification seem to have higher economic growth rate. GREENE: OK, but that doesn't say good things about the United States. Aren't there other factors at play, potentially? I mean, Americans - we have bigger cars which could be a factor, I mean, they're harder to park. Maybe we just like - hurrying a lot and getting to where we need to go? VEDANTAM: Yeah, I think that's right David. I think this is a far from definitive study. It's an interesting and provocative study. Li himself thinks that this actually needs to be expanded into a much larger study. So for example, he looked at a few hundred cars parked in major cities of these very large countries. It's possible that parking behavior is different in smaller cities of these countries. And it's also possible that parking behavior has changed over time. What I find really interesting about Li's work is it shows the value of being curious about human behavior in everyday life. It suggests that if you're observant about things happening around you, there are insights waiting to be discovered. GREENE: I can just see some of our listeners just like, stationary right now, thinking about how they're going to park their car after listening to you. GREENE: Shankar, thanks as always. 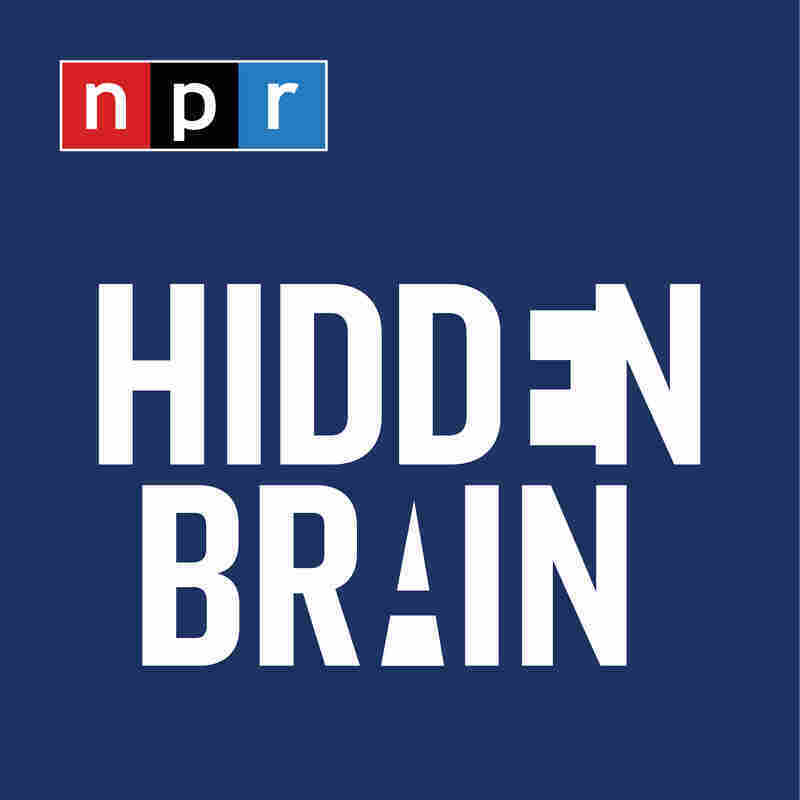 GREENE: That's NPR's Shankar Vedantam, who regularly joins us to talk about social science research and you can follow him on Twitter, @HiddenBrain. And you can follow this program as well, @nprgreene, @NPRinskeep and @MorningEdition.